The chatter in circles that follow the national team has been around the indignity of playing low-ranked nations in friendlies. 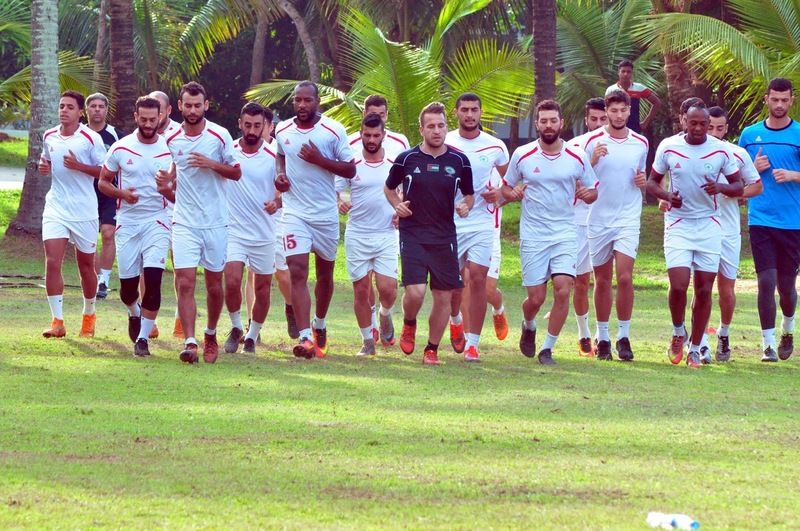 The discourse is particularly concerned with how these less than glamorous friendlies are not the ideal preparation for our Asian Cup opponents. Let's get a couple issues out of the way: Palestine might be the highest ranked team in the tournament but that gap should not give fans delusions of grandeur. Palestine's record vs. Tajikistan, Nepal, and Bangladesh coming into the tournament was 3-5-0 over eight games- and anyone who had the opportunity of watching those games would probably recall Palestine not being particularly impressive. Second, the importance of these games are to uncover which players can contribute when the chips are on the table. It's giving a platform for Olympic teamers Mohammed Basim, Michel Termanini, and Oday Dabbagh to get valuable game time. It also give players on the fringe like Islam Batran and Hilal Mousa a chance to make the squad and possibly unseat a starter. Finally, it expands the player pool. A national team cannot hinge on a small group of players and it's important to be able to utilize whatever talent the local league has. This has what marked out Palestine in comparison to its neighbors. Since 1998, an average national team career spans 11.3 caps (8.9 starts) between the ages of 23 and 27. Those are the actual averages for the 187 players who have played for Palestine over the last 20 years (compiling the average age for the 145 dates of birth we have in our system). Those numbers are laughable, 187 players over twenty years shows just how shallow the talent pool really is. So before anyone goes dismissing Nepal or Bangladesh as opponents- it's worth remembering that while Palestine has some top players they do not have them in abundance. Palestine went on a 12 match unbeaten run between 2016-18 which featured seven straight wins. It's worth noting however that stringing together consecutive victories has not been Palestine's forte since rejoining FIFA in 1998. In 155 official official matches (154 recognized by FIFA- Northern Mariana Islands isn't a FIFA member) they have achieved the feat twice before in 2006 (with wins over Singapore, Guam, and Cambodia) and 2014 (with wins over Chinese Taipei in extra time, India, and Pakistan). Winning is infectious and getting the results in a tournament style friendlies will give experience and confidence- particularly to the younger players. Contrary to popular belief, Philippines did not send an "Olympic Team" to this tournament. Much like Palestine, they sent a team with a lot of fringe players. The Azkals were favorites to advance to to the final and set up a rematch of the 2014 AFC Challenge Cup. A 2-0 reverse earlier today, means Palestine will face Tajikistan in Dhaka should they beat the hosts Bangladesh.